Cordless screwdrivers are a necessity around the home and workplace. 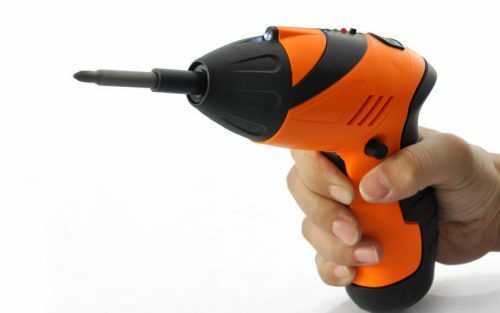 If you have a job that requires a large number of screws, or requires screws in a difficult to work material, than an electric screwdriver will save you a surprisingly large amount of time. Depending on the size of the screws you are using, manually screwing in a screw can take anywhere from 15 – 90 seconds, while an electric screwdriver will take maybe 2-6 seconds. If you are working a job that requires around 50 screws, you have just saved anywhere from 12 minutes to over an hour. Not to mention the tediousness and effort needed in the action itself. With that said, not all electric screwdrivers are created equally. Some are expertly designed and have features like magnetic tips or precise speed control, while others would have issues putting together IKEA furniture or remodeling a basement. We have spent quite a bit of time going through the large amount of powered screwdrivers available today (and let me tell you, there are a lot) to narrow down the options to the ten best electric and cordless screwdrivers available right now. Hopefully, this list will save you time from shopping around and hopefully prevent you from wasting money on a bad purchase. 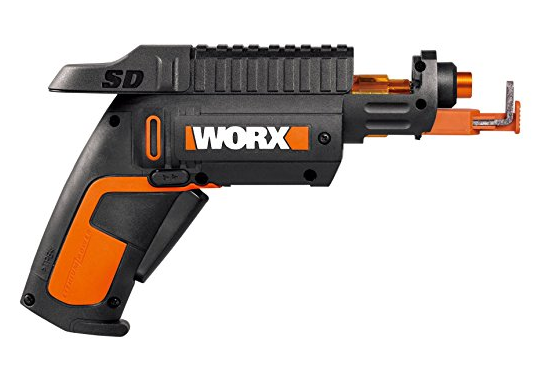 As a side note, we tried to avoid duplicating similar tools from the same brands, for example, since the WORX WX255L was added, the WORX WX254L was omitted. Although hypothetically the 254L may be better than another screwdriver on the list the fact that it is simply an older model of the 255L means that it was not eligible. Another thing to consider is that these screwdrivers are ranked on a price/value ratio. Although a screwdriver like the Makita XSF03MB is more powerful and efficient than the DEWALT DCF680N2, it did not rank as high since it was considered that the Dewalt was of a better value for your dollar. This criterion is explained in more detail later on in the article. This gyroscopic Dewalt battery powered screwdriver is packed with plenty of great design features that allow you to accomplish a multitude of tasks quickly. The handle lets you adjust position, and the variable speed controls help you deal with a range of materials. The 15 clutch controls also come in handy for jobs that require more finesse. Quick bit change system, as well as a LED light set up, are also nice useful features. Though this tool is best mostly for utilizing threaded screws, It does have ample power to fasten two 2" pieces of wood together and a 1" hole in drywall with a paddle bit. The gyroscopic feature is ideal for when you want to use a simple motion for changing motor direction. Although it can’t do the jobs of an impact driver, it's suited to everything else. Between the flashlight attachment, and the low noise output - it’s a perfect tool for DIY at home crowd. You may need a charger or extra batteries at a construction site, but the long battery life will get you through almost any other task in one charge. The adjustable handle means going inside cabinets or tables (or any other hard to reach place) can be done in a snap. Tools have rough lives, and if you are going to invest money into one, you want to be sure that it will stand up to the abuse. This Dewalt can take a beating, and outside of a bit of cosmetic damage, it will keep doing a fantastic job for years to come. LED light on the handle. The bang for your buck definitely puts this tool at the top of the list. It wins the award for best at home electric screwdriver. projects with ease and reliability. 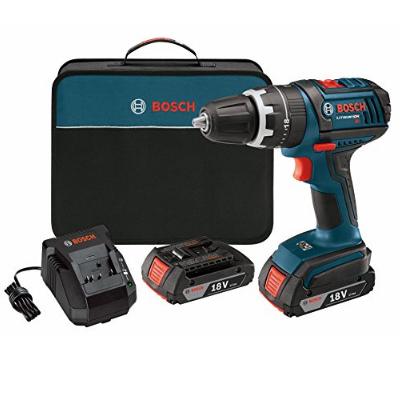 This 18-Volt 1/2-Inch Lithium-Ion drill/driver kit brings a lot of power in a small and mobile package. Perfect for either wood or metal, this tool can get tough jobs done quickly and easily. There are over 600 inch-lbs of torque coming out of this device. In addition to the power output, it is very compact - making it useful for a variety of situations. The internal motor protection system protects it from overload and helps to ensure the longevity of the tool. This is the tool equivalent of a 5” tall bodybuilder. While only 2.8 pounds, it packs a serious punch. A lot of work went into the design and function of this device. Bosch wanted to create something powerful enough for a job site, but compact enough to remain extremely agile, while also remaining amazingly durable. By all accounts, they succeeded. 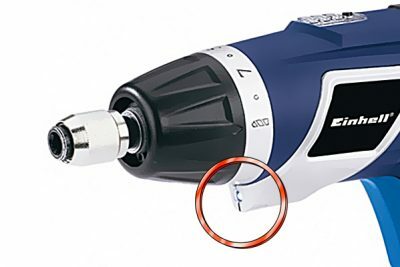 Though not the cheapest drill/driver around, it isn’t much more expensive either. For what you pay - you get a great compact tool that can handle the tough jobs, and is built to last years. It is a great investment for pros and DIYers who need that extra “umph.” It offers enough custom settings to make it applicable to both small and medium sized tasks. Although it may not look it, this extremely portable two-position screwdriver packs a considerable amount of torque. 80 inch-pounds of maximum torque to be exact. Pretty good for something that is “only” 7.2 volts. It also provides an excellent long lasting battery. This two-position device offers superior versatility and contains enough work speed increasing features to make it a favorite of any user. It may not have the heft and power for bigger jobs, but it is hard to beat for small projects and around the house. Many people prefer the adjustable handle more than the simply straight or 90-degree style screwdrivers, and I have to say I’m one of them as well. Something about the angle and the great center-balanced weight of the screwdriver makes for a comfortable fit for your hand. This design isn't only comfortable, however, this tool has proven it can take a beating and keep on kicking. Sticking with the theme so far on our most recommended items list, this tool is a great investment; It is well built and capable of lasting a long time with proper treatment. This screwdriver falls on the expensive/high-end side of home use. Homeowners and DIYers who take on tougher tasks themselves. This screwdriver lets you work in awkward positions and provides enough power for the majority of tasks you will face. It is worth the higher price tag for its versatility and longevity. Part screwdriver, part revolver, this is a fantastic home use screwdriver - especially for projects that require multiple bits. Lightweight and comfortable in hand, this screwdriver will quickly become one of your favorites for simple tasks. The screw holder allows you to do screw with one hand free and the bit rotation mechanism lets you instantaneously change between the target screw size. The one hand use and small size make this perfect for getting into small places. As long as your task can be handled by 4 volts, you won’t have a single complaint. Reach awkward places with ease now that the screw is held in position by the tool itself, and don’t worry about dropping screws during removal since the holder will latch onto them as well. Get most jobs around the home done quickly and easily. Not expensive and extremely useful for household products. I’d say even professional contractors could benefit from keeping one from these in a drawer at home. The battery will hold a charge for 18 months, so it really is a handy drawer utensil. Anyone who needs to accomplish quick DIY projects or tasks in the home. It’s also a nice purchase if you have to apply screws to a lot of awkward or hard to reach places. A solid 20v cordless drill/driver set will let you attack your next project with gusto. 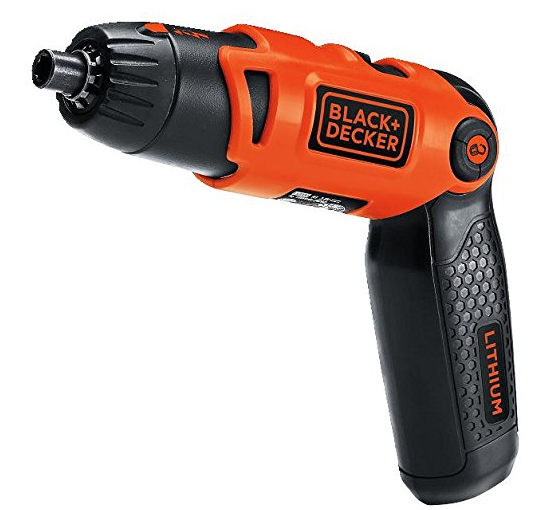 This is a cordless screwdriver with a 20v Lithium-ion battery, so it can provide quite a bit of power. 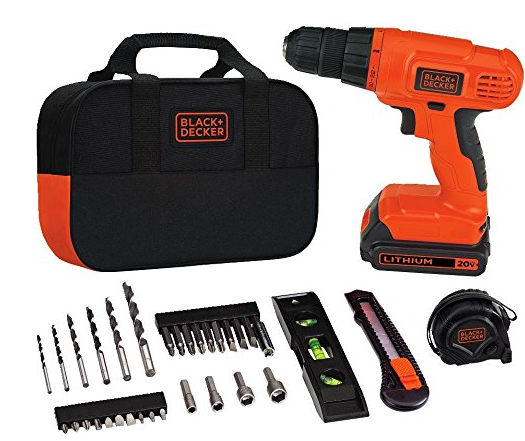 The set that accompanies it contains a good number of drill and screw bits as well as a carrying case, so this is perfect for smaller projects when on the move, or as a gift to first-time homeowners. Although the additional equipment that it comes with, like the level, isn’t of the highest quality -they make for some nice backups. 11 position clutch for precise control. This is a nice price for a screwdriver/drill and the accompanying bits, as well as a level and carrying bag. 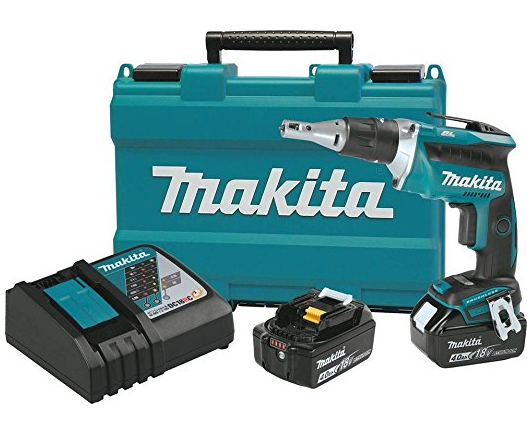 You will probably want to replace most of these items (other than the drill) over time, but the fact you can get nearly an entire DIY kit as well as reliable and powerful cordless drill/driver in one package, is a sweet deal. Since this set comes with a lot of the basics, it's ideal for those just getting an apartment or first-time homeowners who wish to start building out their tool selection. This Makita screwdriver is a real workhorse. A powerful torque and heavy frame mean you can screw into some of the toughest materials. This is a drywall slayer. It has some nice features as well including comfortable trigger grip and a lock-on mode that ensures the motor will start only when the fastener is engaged, this keeps the work quieter and saves on battery life. The Makita start protection batteries not only help protect the integrity of the device but also have an extremely quick recharge time. Improved dust and water resistance. This is a valuable tool for the professional on the workplace who needs a durable and powerful cordless screwdriver. Outside of that, you will need to be doing some serious work to justify the purchase. Pro’s looking for a new cordless drill. This is amazing for a variety of drywall and framing applications. This is the first corded driver to make it on the list, and it does so due to its great value and durable design. This screwdriver regularly surprises buyers who are expecting much less for the price they pay. It also has enough power for most of your typical tasks. One of the less talked about benefits of corded screwdrivers is never having to deal with forgetting to charge the batteries - and this screwdriver comes in well below the price of most spare batteries. This screwdriver offers fantastic value. Durable materials, good design, all for a low price. 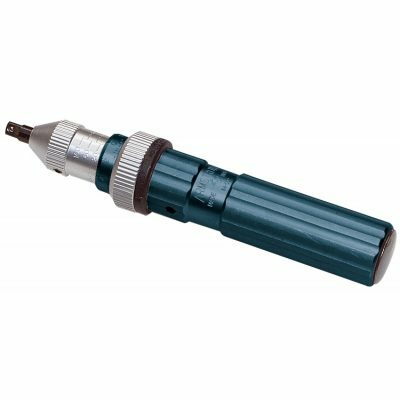 Those who want a simple power screwdriver that they can rely on for the majority of their household tasks. This tiny electric screwdriver is a bit different than the rest on this list - but no less useful. If you are one of those people who either at home or professionally, have to deal with the multitude of tiny screws all over our modern electronics and devices , this device may just save you from carpal tunnel down the road. Small and precise, this is the perfect tool for disassembling and reassembling electronics with speed. It can also handle small tasks like outlets. Not too expensive for a rather unique device. 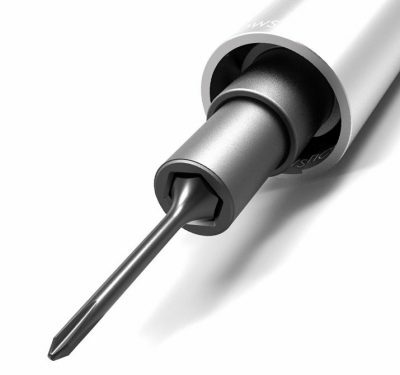 It will be difficult to find a higher quality precision electric screwdriver at a better rate. On the go technicians or DIY hobbyists who want to work on their electronics, watches and other household devices while avoiding the time it takes to remove the 15 tiny screws from something like a computer case (we just did this by hand, and it drove us crazy). This belt-fed machine gun looking device is actually the other corded screwdriver for our list. 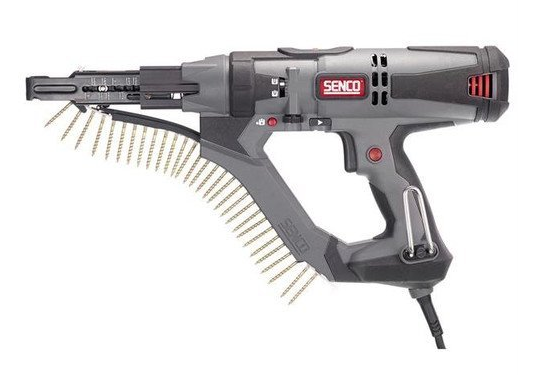 The Senco DS332 really is the modern machine gun for driving screws. It has an automatic guide pressure system as well as a belt fed screw “ammunition” system that allows you to drive a number of screws with speed and accurately quickly. It's probably unlike anything you have used before. Quick slide button bit change. If you have larger projects that require many screws, this is absolutely worth the price. The time you save alone will be worth the money. Contractors or DIY homeowners looking at some large projects. If you are building a deck anytime soon, I highly recommend you look into this screwdriver. 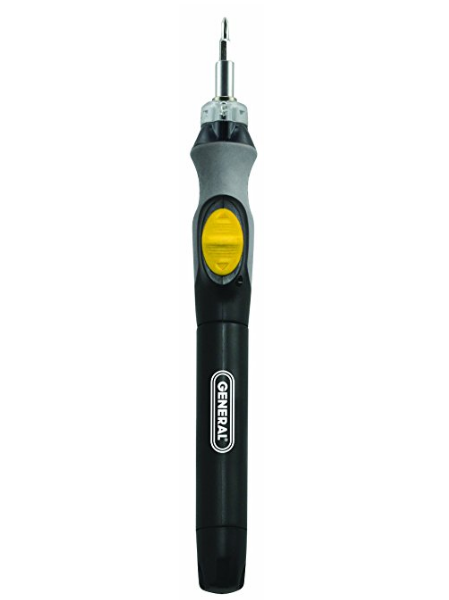 This is another adjustable handle screwdriver that ranks in at 3.6v of lithium-ion battery power. It is also extremely low priced. 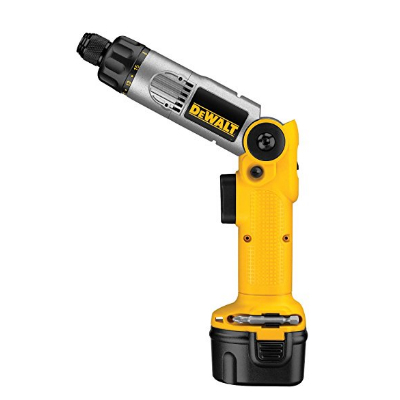 While it lacks the torque of other adjustable screwdrivers, the three position adjustments, smooth forward and reverse switch and long-lasting lithium-ion battery still give it a spot on the list. (That budget price doesn’t hurt its value either). Though it lacks power, the precise adjustments and ergonomic design let it work in hard to reach places, accurately and more efficiently. This is another tool with an 18-month battery life that is perfect for a kitchen or living room drawer. For the price, it is a great tool. It lacks some features found in other tools, but the dollar value to tool ratio is great. This is suited for the homeowner who occasionally needs to hang pictures, decorative shelves or the like. Assembling light furniture is also doable. To make this list, a vast assortment of screwdrivers were evaluated and eventually rejected – and even then we needed to rank the ones that were decided on to be included. There was a significant amount of criteria that was considered when ranking these screwdrivers. Some of the criteria was fairly obvious, like power, weight, and dexterity – but some were not so obvious. Some opinions were subjective, like comfort. When going through the list it may not be clear why some seemingly more robust and durable screwdrivers ranked lower than seemingly inferior products – so I want to clarify how these decisions were reached. I am going to walk you through each of the deciding factors. Another factor to consider is the particular usefulness of the screwdriver outside of our rankings. This is a diverse list and contains screwdrivers made for specific jobs. What job one excels at, another will not. 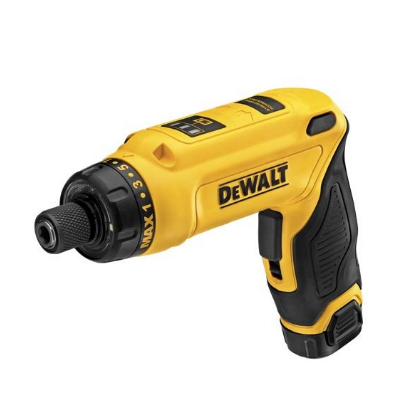 The small electronics screwdriver is perfect for what it does; it won’t be used for drywall – while a drywall ready screwdriver is the last thing you’ll want to use on small electronics. Since we evaluated screwdrivers from about $30 all the way up to $300, the price was evaluated on a quality/price ratio. Some lower priced screwdrivers ranked higher than some of the more expensive ones for this reason. Both could do about 50% of the same tasks, but their price difference was over 1,000%. The decision eventually came down to comparing the lifespan of the tool, the materials it was suitable for, and the useful features it contained, all measured against its price point. Power is generally a combination of RPM and Torque. Attention was paid to RPM and Inch-pounds of course, but the main decider in this category was simply what sort of tasks was it rated to accomplish (the correlation between those two things was, of course, exceptionally high). You can think of it this way, something suited to only small household tasks would get the equivalent of 1 point, once it broke that plateau into more industrial tasks, it would receive another point. Screwdrivers suited to the heavy-duty work would receive maximum points in this category. Complaints about chuck wobble or exceptional weight that made the screwdriver hard to use were weighed together. If a screwdriver operated great but was too heavy or unwieldy to be used in a comfortable or practical way, it suffered heavily in its evaluation. Easy to use is a nice feature, but it can be very subjective when dealing with power tools – most have a learning curve or take some time to get comfortable with. What weighed heavier was the versatility of the device. How well it could reach awkward places, how many hands it took to utilize, and where and when you could see somebody using the tool. Features are always talked about and are usually the first thing people will bring up. Usually, this is because bonus features are the easiest way to differentiate between two similar tools. Normally features are fairly gimmicky, but this list contained a few stand out items. The screw holders and belt fed operating systems definitely helped their respective screwdrivers out – and the LED light never hurts. The cord or cordless debate is more or less settled when it comes to screwdrivers. As you can see only two corded devices even made this list (and one of them is also available in a cordless version). Cordless screwdrivers are definitely more desirable these days now that the advancements in battery technology have made them powerful enough for the vast majority of screwdriver needs. The lithium-ion batteries of today are immensely more powerful than the batteries of a generation ago. While we still stand by corded versions of the tools like the jigsaw that still need that extra kick, the only reason to go with a corded screwdriver would be to save on batteries. That’s not to say you should never buy a corded screwdriver (you can usually get a better device for a lower cost that way) but you will be sacrificing quite a bit of mobility. A clutch is a device that transmits power from one part of an object to another. It is used to regulate the amount of power being sent across a device into its final output. If you think about a car clutch, in one position no power is being transmitted, while at the opposite state the mechanics are fully connected – when it is somewhere in between there is a controlled amount of power being generated. 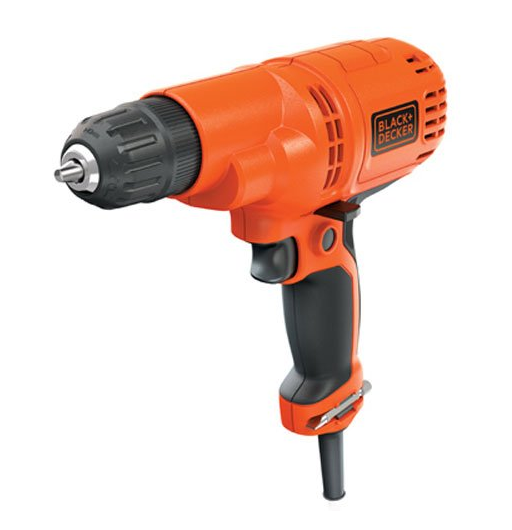 The clutch on a screwdriver or drill will control how much torque is being transferred to the bit. Clutch settings help you control the amount of power your trigger will generate. Some screwdrivers have up to 22 settings (or more in rare cases). At the highest setting, there will be nothing limiting the bit from operating at the full torque the device can generate. Having a good number of clutch settings lets you decide exactly how much power you want to put into a task. A common mistake with drills and screwdrivers is thinking that torque is the speed in which the bit spins, this is not the case. Rotations per minute (RPM) measures that. Torque is the amount of force behind the spin itself. Lately, it is not only corded devices but also cordless devices that have been able to produce torque well beyond what is required for the majority of an average jobs needs. Simply put, torque is how capable your drill or screwdriver will be at powering through harder surfaces. The more torque a tool has, the more it will be able to overcome the target material. Nowadays a power rating is being applied to tools to measure a combination of both torque and speed. How do I Conserve Battery Power? Batteries operate differently from one another. I know for a fact (and Dewalt verifies this) that Dewalt batteries perform better over time when you stop as soon as they begin to lose power and recharge them. This is contrary to say, cell phone batteries, which last longer when you allow them to fully deplete their charge before recharging. You should take a look at the manufacturer’s webpage to see how their battery operates and how you can best preserve yours. They aren’t exactly cheap. Sometimes a battery may seem broken when it is operating under less than optimal conditions. You may feel your battery lose power when it becomes overheated. Let it sit in a cooler area until it reaches that room temperature and then retry it. If you let it cool off, and let it charge overnight and it still is fussy, then it may be time for a replacement. Do I need a LED Light? We understand why this question comes up so much. So many power tools come equipped with a light these days, that it bothers some people about to make a big purchase that the one they are buying does not. They worry that this must be some terrible mistake. Well let me help you feel more comfortable with your purchase, you do not need a LED light. With that said, there are some benefits to having one. Many people know the struggle of working at night, underground or in a cramped spot and trying to properly prop up a flashlight in order to see what you are doing. Or maybe your eyes just aren’t so good anymore, and you need the extra help. Either way, when it comes to those tight spaces, an LED light can be a godsend. What is the Reverse Switch? The reverse switch changes the spin direction of the screwdriver. One direction will further insert the screw into the target area; the other direction will remove it. Electric screwdrivers need a switch that allows you to change direction. Otherwise they would only let you either tighten or loosen screws, and that is just silly. What is the History of the Screwdriver? Okay, no one ever actually asked this, but let us indulge ourselves for a paragraph or so. The screw actually predates the screwdriver. The earliest screws were likely developed from the nails of the time and screwed in using knives. The flat head/slotted screw was obviously the first one developed. The Philips (“+” sign) screw that we see so often today wasn’t invented until the 1900’s. In fact, the first handheld screwdriver didn’t appear until the 1800’s, a couple of thousand years after the first screw. We like to think there must have been a few independently developed screwdrivers from the past we just haven’t discovered yet. Hopefully, this list and explanation has given you everything you need to make a screwdriver purchasing decision. We know that buying power tools can be a frustrating experience with the multitude of brands, versions, and conflicting accounts – but every device presented here is guaranteed to get the job done right, and we like to believe we offered the reasons why. We often disagree with reviewers on their technical judgments and subjective views, and we know you will probably disagree with us on quite a few things too. That’s fine. So whether you are a pro looking to add to your repertoire, a DIY enthusiast looking to for the perfect tool for the next project, a technician, or a homeowner looking to start their toolbox off right – we made an effort to make sure the screwdrivers presented here should be the right fit for your needs. Good luck – and remember – build smart, build safe, and build big.